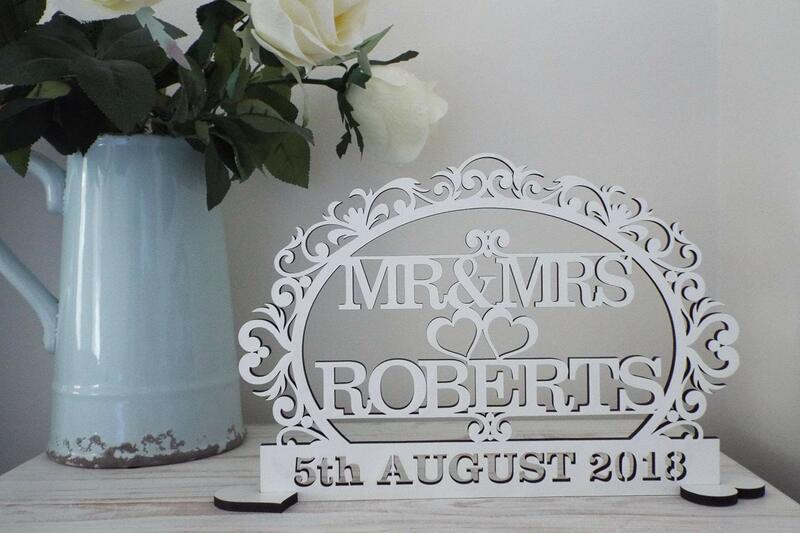 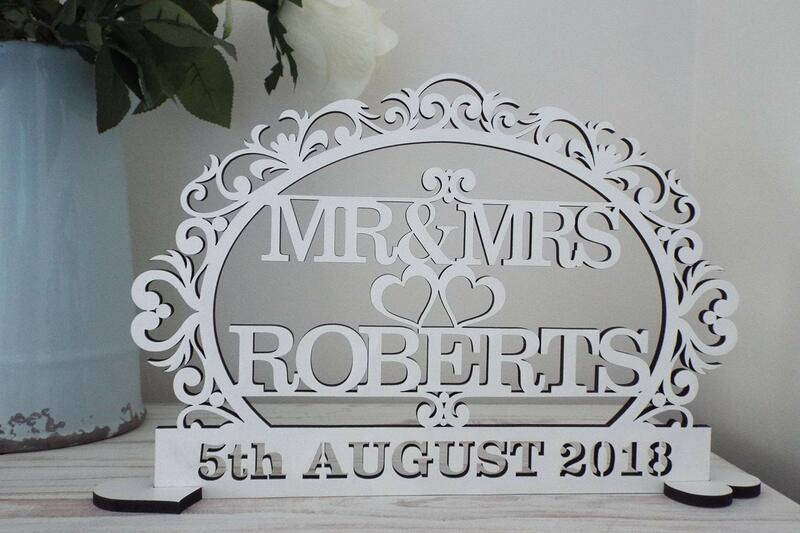 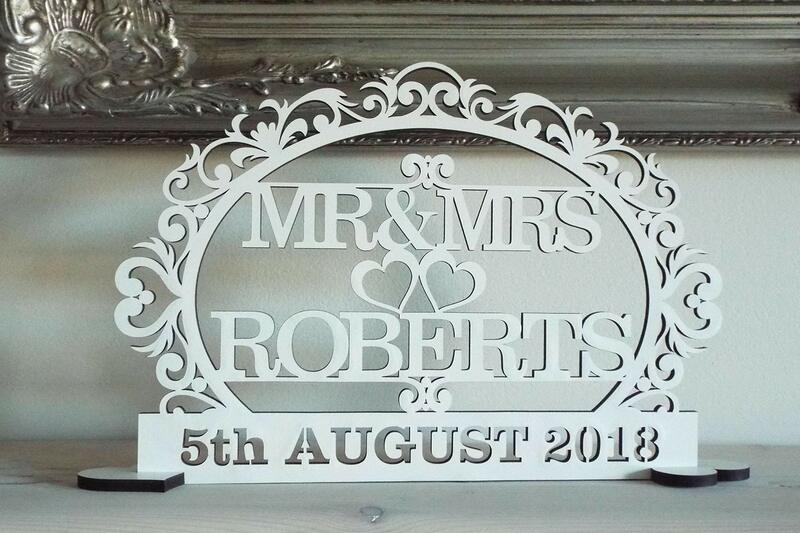 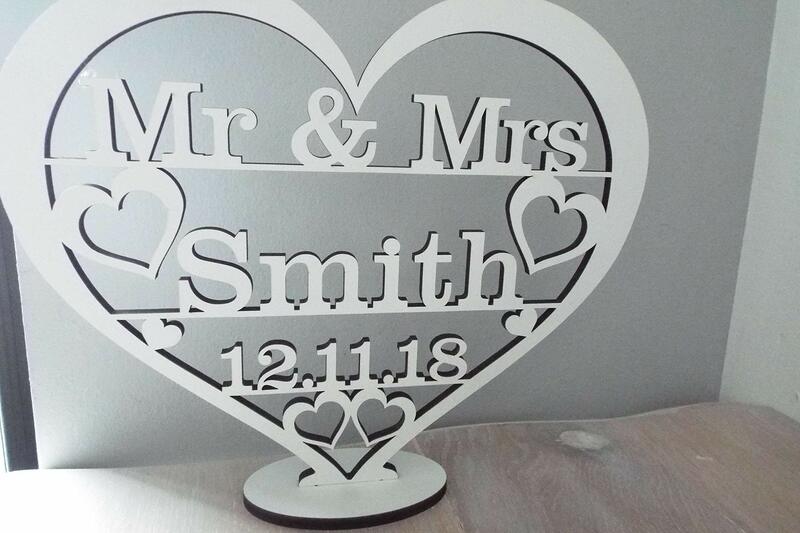 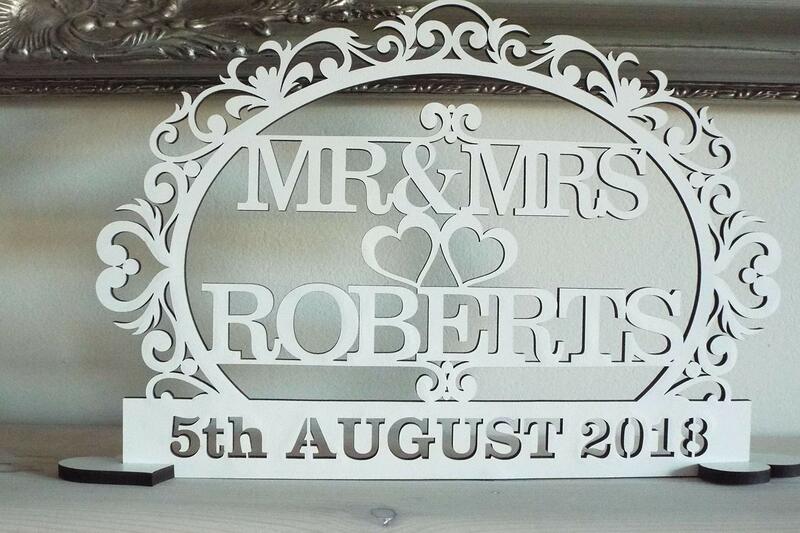 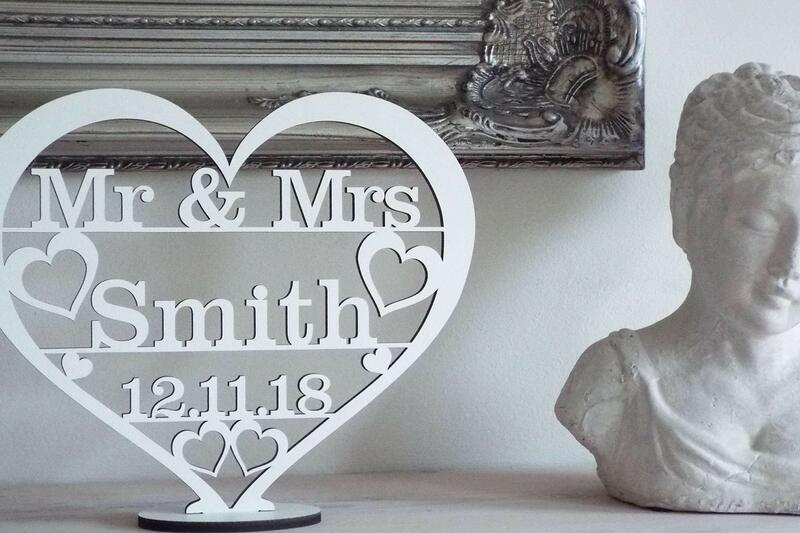 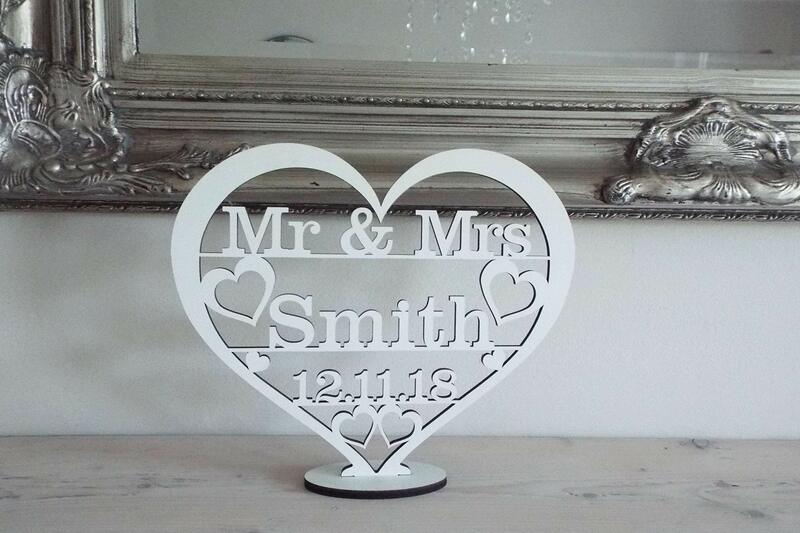 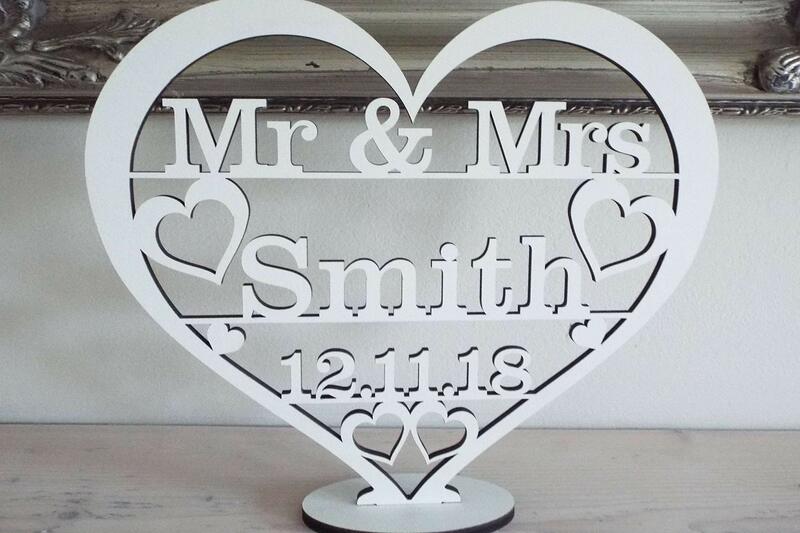 Personalised stand with surname and date .Original, personalised, free-standing, painted white on both sides, stand . 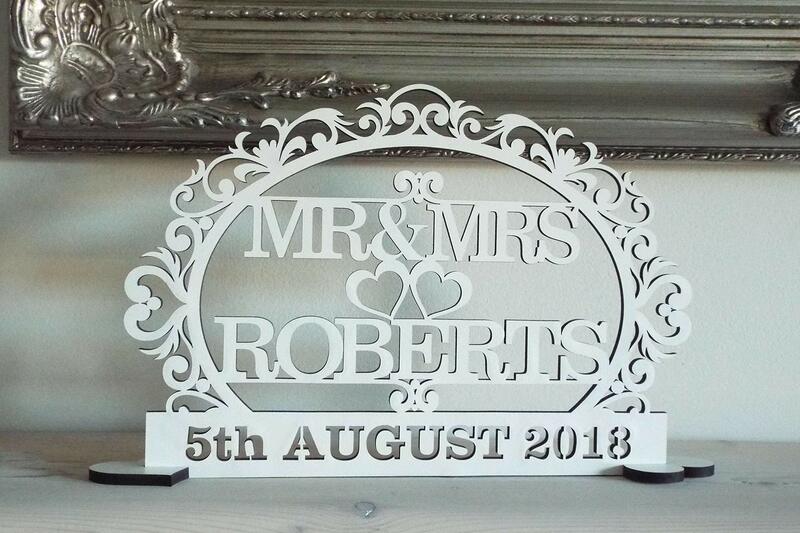 Crafted from prime quality MDF Medite (6 mm thick). 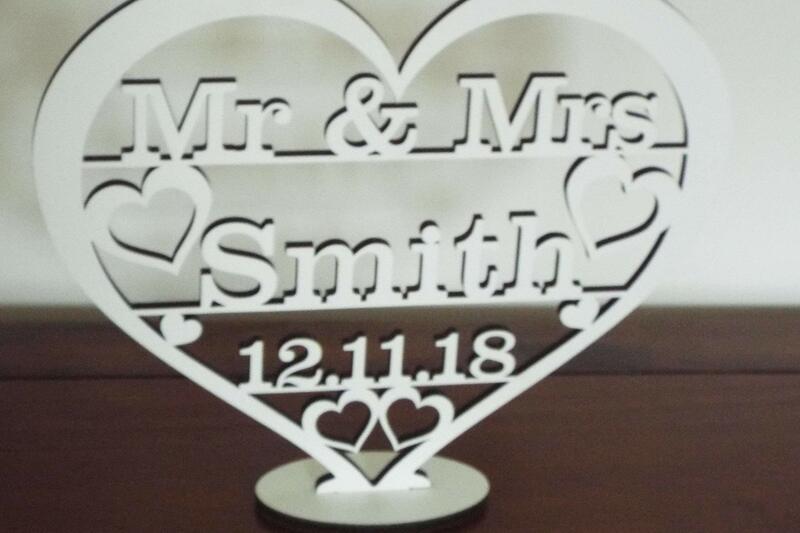 Professionally cut the usage of Laser cutting technology! 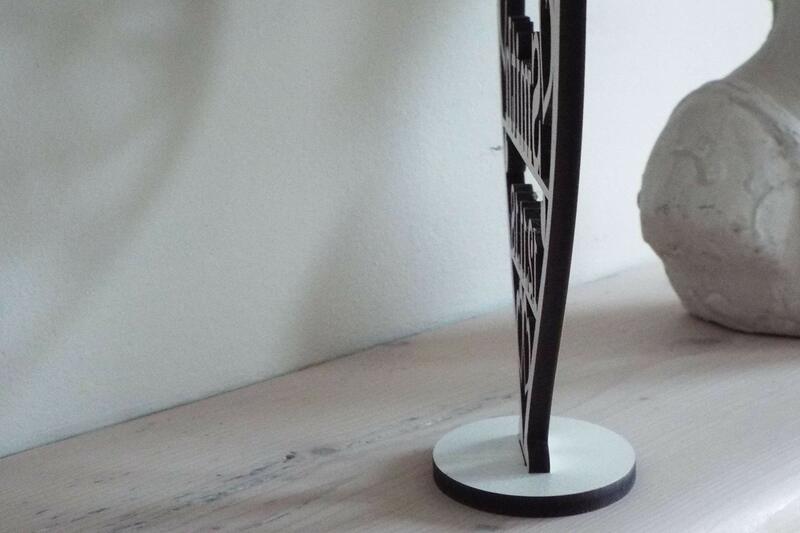 Edges can be black! 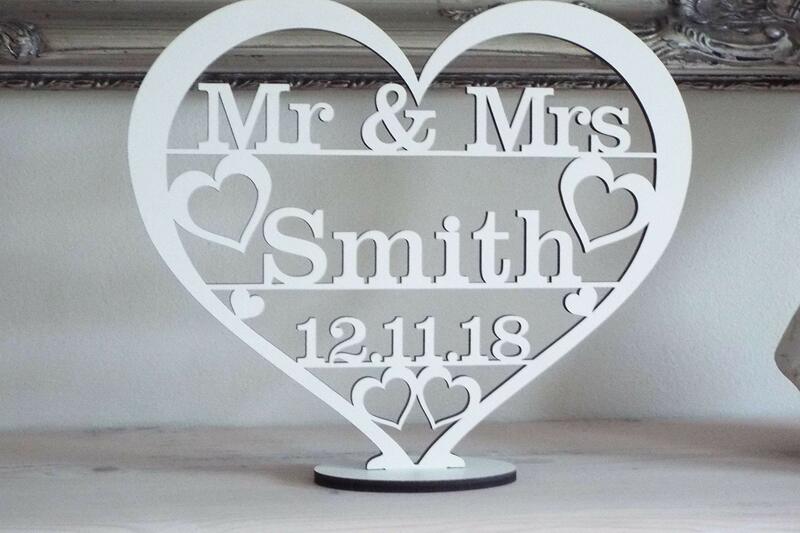 Comes with 2 hearts (painted white) on each and every side that give a boost to the stand. 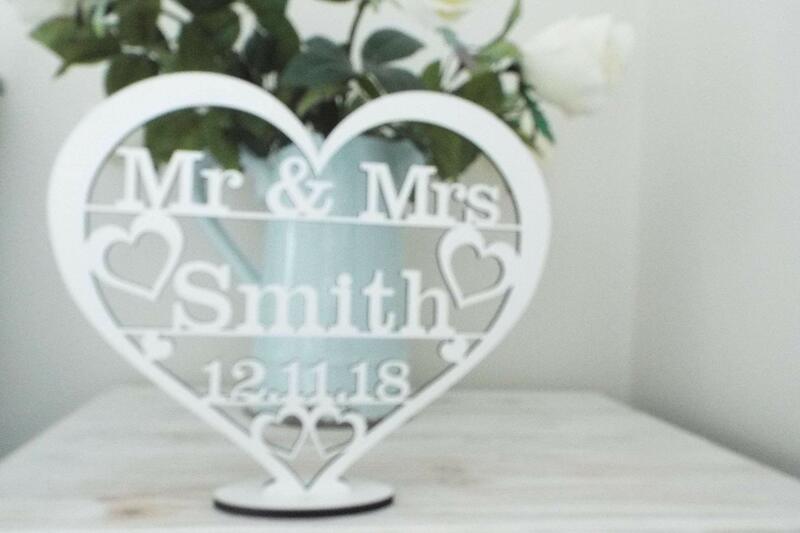 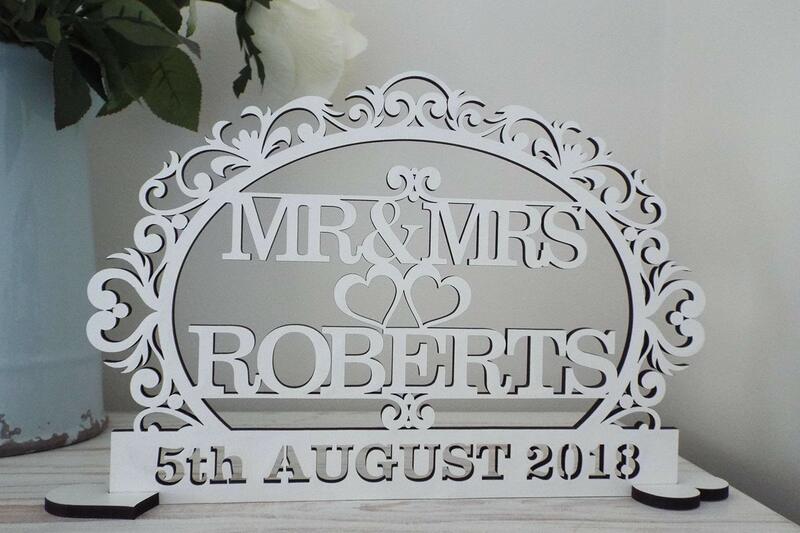 Approximate dimensions (depending on how long the surname is): 29cm length, 16cm high.This beautiful stand would also make an out of this world supplement in your wedding table!! 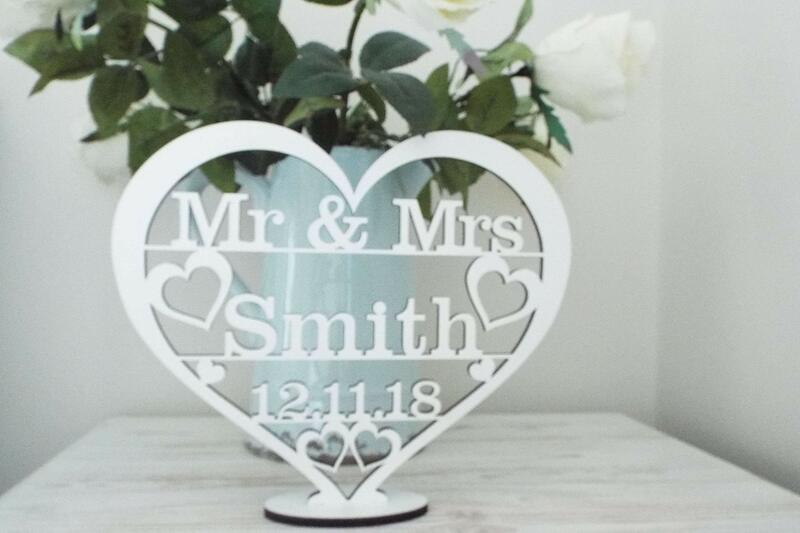 An excellent surprise gift for couples celebrating their engagement, wedding or anniversary, making the occasion much more special.